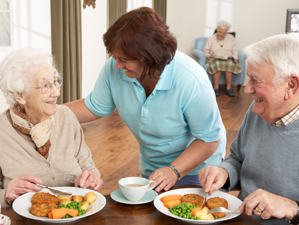 Dietary Manager is a result of over 40 years of food service and contract management experience. 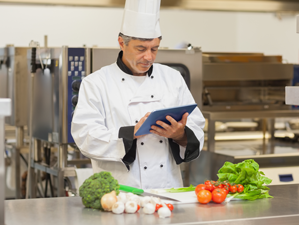 Our founder, Rick Valway, identified a need for a robust and easy to use food service management software, written through the eyes of food service managers, dietitians, cooks and diet aids just like you. That vision has created a program that is changing the way we interact with our residents and patients by making it easier than ever to provide highest level of choice and care. In 1992 Rick began development on DOS based Dietary Manager V1 which was used as a basic traycard system. Next, the resident and patient data card feature was added to help focus more on the residents as an individual rather than a room and bed number. Thanks to the feed back from loyal user partners our food service management software has seen many innovations over the past 20 years. With internet speed and reliability increasing daily, software as a service (SAAS) has become very attractive. We are proud to announce that we have launched a complete online version of our food service management software, Dietary Manager Online. We have made a commitment to our clients to always put the principles before profits. If our system does not pay for itself in 12 months or less we will refund the cost of the system.